The fitness bunnie was reportedly driving way too fast when she crashed and almost burnt to death. 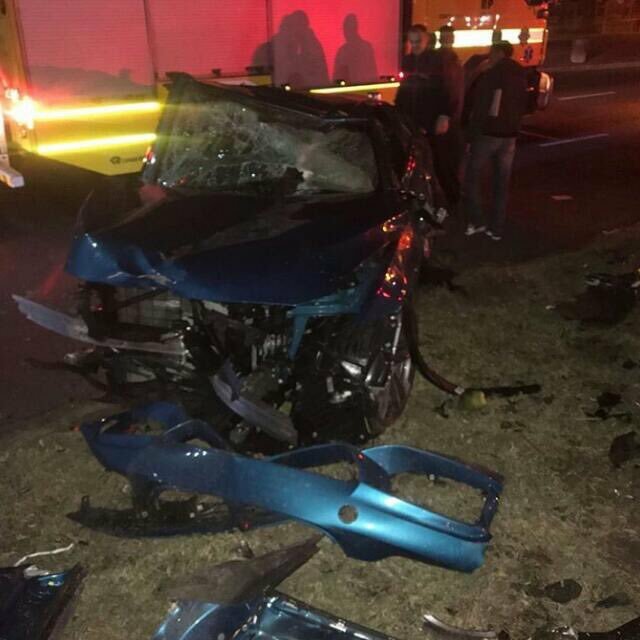 Reports on Sunday have confirmed that the sporty BMW M4 fitness guru Sbahle Mpisane rolled in a horror crash this week was registered in boyfriend Itumeleng Khune’s name. The car was worth about R1.5 million. It was torn apart when it crashed into a pole in the early hours of Thursday morning. The young woman’s parents are controversial Durban business couple Shawn and Sbu Mpisane, who are well known for flaunting expensive cars themselves. The BMW, however, was known to be a gift from Khune for her birthday in June. She is reportedly breathing through a ventilator in ICU, according to Sunday World, after suffering massive head injuries and fractures. She underwent surgery on Friday, which the family has said “went well”. Sunday World interviewed personal trainer Brian Dube, who helped to extinguish the flames engulfing the car at 4am, which crash investigators have said had no doubt been travelling too fast before crashing. Dube undoubtedly saved Mpisane from burning to death.